This garland can be displayed over doors, windows, fireplace mantels, or stairway railings in indoor or covered outdoor locations. Pine artificial garland is the perfect way to decorate your home or tree. Wrapped on frame & banded. 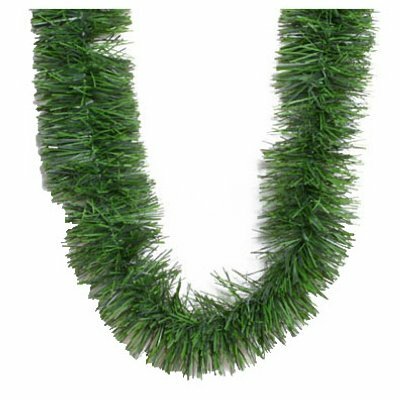 3-1/4" x 18' Green It can be displayed over doors, windows, fireplace mantels, or stairway railings in indoor or covered outdoor locations Pine artificial garland is the perfect way to decorate your home or tree Wrapped on frame & banded. Wrapped on frame & banded. If you have any questions about this product by Dyno Seasonal Solutions, contact us by completing and submitting the form below. If you are looking for a specif part number, please include it with your message.